Researchers from the American University of Sharjah’s College of Engineering have embarked on a two-year research project to investigate the conversion of commonly available organic wastes (such as food and agricultural wastes) into biochar. AED 630,000, was allocated for the project. Biochar is a highly stable form of carbon that does not contribute to the greenhouse effect and that is used worldwide to improve soil properties for plant growth. It can be produced from nearly any organic material. The AUS team will determine how to use many different organic materials to create designer biochars that have high water- and nutrient-holding capacities. 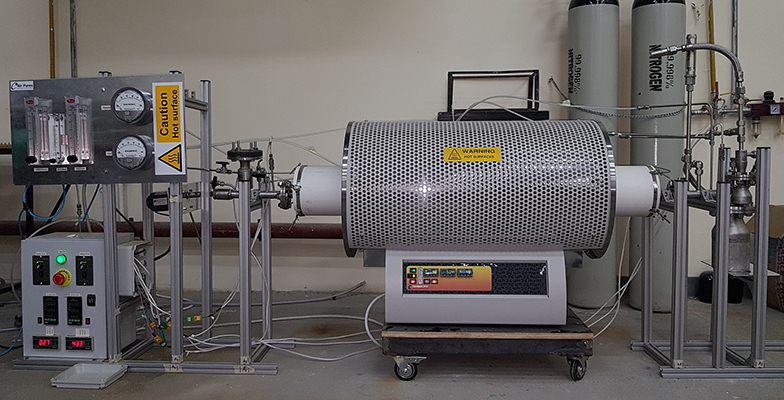 The AUS Biochar project is the first project that comprehensively investigates the conversion of many different organic waste materials available in the UAE into useful biochar. The project contributes directly to the UAE’s 2021 vision of minimizing the amount of waste material going to landfills, while building expertise in green technology solutions for the country. The project is funded by Emirates Global Aluminium (EGA), the world’s third largest producer of aluminum, who intend to utilize biochar in the manufacture of soil from bauxite residue.